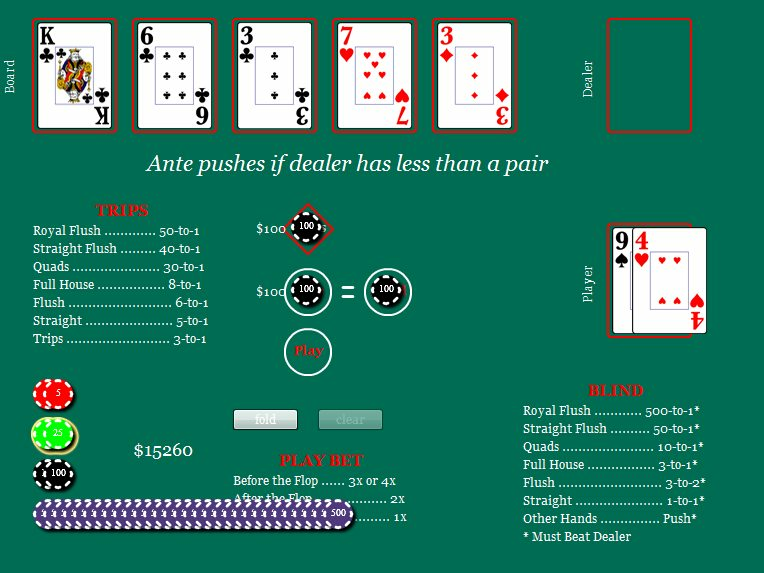 I’ve re-written the Ultimate Texas Hold’Em practice game in Flash to make it more presentable and enjoyable. I’ll be improving it over the next few days, so most of the features will be added soon. I’ll link this game into my main Ultimate Texas Hold’Em Page, and it’ll eventually replace the old Java game. Enjoy! Ok, I’ll make it resizable. Thanks. Really enjoy your site, and the new game looks great. In any case thanks for the site, really interesting work you’ve done here. I’m not going to share my poker source code, at least for now. Maybe in the future I’ll open-source my poker libraries on github, but it’ll probably be a while from now. I’m going to keep the code proprietary for now. ok, thanks anyway, and thanks for the reply nonetheless. Hey steve, may see you out there this weekend. I officially start tuesday at Pala for my orientation. So good luck to all of us out there! any chance of adding a hand counter to the game and/or a graph of player hands and how they faired…how much won/lost with? does this is open source? can i get the code?